Celebrating their 20th anniversary in 2016, Dreadnaught from New Hampshire in the U.S. (not to be confused with other similarly named bands) are a new one on me. But I’m glad to be catching up! What we have here is an EP containing material to be included on the forthcoming new album, Hard Chargin’ (their seventh?). On the back of this one I’ve also heard the 2013 EP Have A Drink With Dreadnaught and 2001 album The American Standard, and a very entertaining bunch of, er, stuff it all is. All Music describes the band as “Country-rock, avant-garde blues, prog-funk, experimental rock – any and all of these labels are accurate, yet each only begins to brush the surface of the band’s style”. They’re right. And wrong as whatever genre you can think of there’s likely to be some Dreadnaught out there that at least alludes to it. Since 2005 they’ve been the house band for New Hampshire Public Radio’s Writers On A New England Stage where they have composed and arranged music for authors such as Dan Brown (who sat in with them on piano for a rendition of Birthday by The Beatles), John Updike (who described them as “The sound of terror”), Stephen King, Patti Smith, Madeleine Albright, Ken Burns, Alan Alda, Chris Matthews, Neil Gaiman and others. The program has apparently earned Dreadnaught a reputation as a fun and audience-friendly band, to which Lord retorts “…and how we’ve pulled the wool over everyone’s eyes is way, way beyond me”. The five tracks of Gettin’ Tight… stampede out of the traps with guitar and organ driving Nervous Little Dogs. No wonder they’re nervous, this is brutal and fearsome stuff, tightly focused but played with jam band abandon. The main riff is convoluted and fiery, banging and clanging as it dives headlong into a classic Americana semi-solo from Walton. Exhilarating? It is. In contrast, the almost disco beat that kicks off The Badger throws you sideways. Slightly deranged yet very together vocal harmonies emerge before the wilfulness returns in vigorous phrasing that many will no doubt find jarring. This musical Tourettes works for me though, twitching and jerking as instinct demands while licks are traded like a stadium rogering band of yore. It’s country rock for This Time Next Year, a lovely melody that goes off the rails like a steam engine on a rickety bridge but still manages to retain a sense of direction. It’s the most straight ahead thing here but is still pretty demented. Knife Hits is just brilliant. Spooky sounds play a waiting game until a pointedly direct pulse from the rhythm section and lilting guitar which opens into a wonderful riff. The tune evolves incaptivity, escapes, is chased, recaptured and reprimanded before being returned to jail. And all done with real style. The concise compositional style is underlined by Barefoot Kicker being the only track that breaches 5-minutes. Another vocal number, this one is funky but with unorthodox phrasing that refreshes the palate. It then emerges into a full-bodied instrumental tour de force of power and beauty with a rawness that makes it all the better. Towards the end piano and the violin of regular contributor Andy Happel add new tones as the track becomes an “OK everyone, HIT IT!” mass-jam that collapses in on itself to an unassuming close. When it’s finished you have to sit back and filter all that just happened in a mere 25-minutes. And it still isn’t as barking and off the wall as The American Standard. The playing is top banana, the enthusiasm of those involved palpable and the results often breathtaking, but this is a much more mature and considered work than The American Standard. 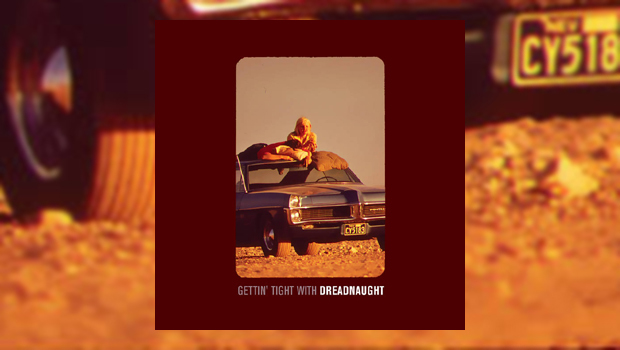 Twenty years is a long time to plough a furrow as uncompromising as this but Dreadnaught have achieved it by knowing that melody and other identifiable signposts most certainly have their place amongst the madness, a cheeky grin and a wink allowing them to get away with the more demanding stuff. It’s an utterly brilliant combination that in lesser hands would die a miserable death. Messers Lord, Walton and Habib, I salute you.